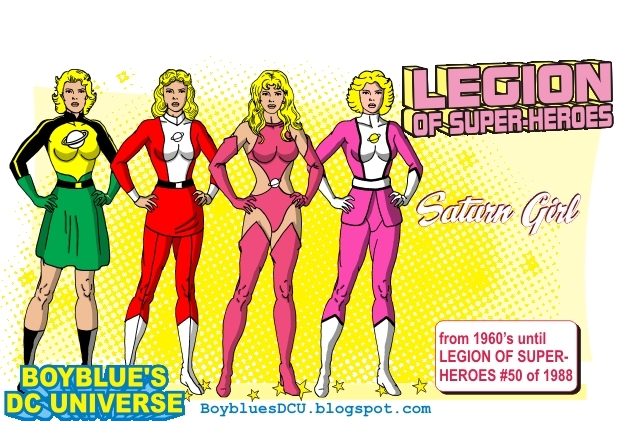 Imra Ardeen alias Saturn Girl of the Legion. 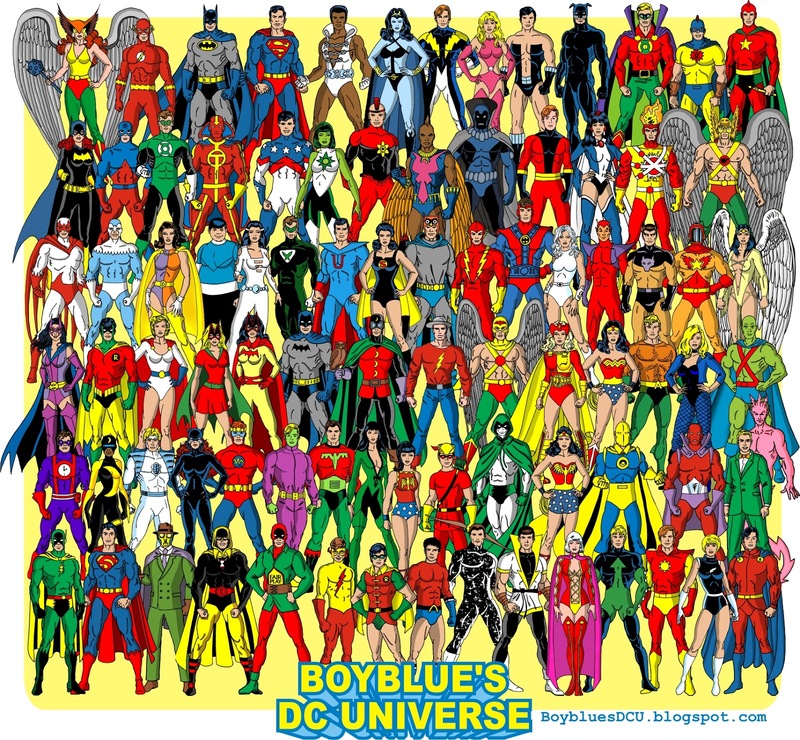 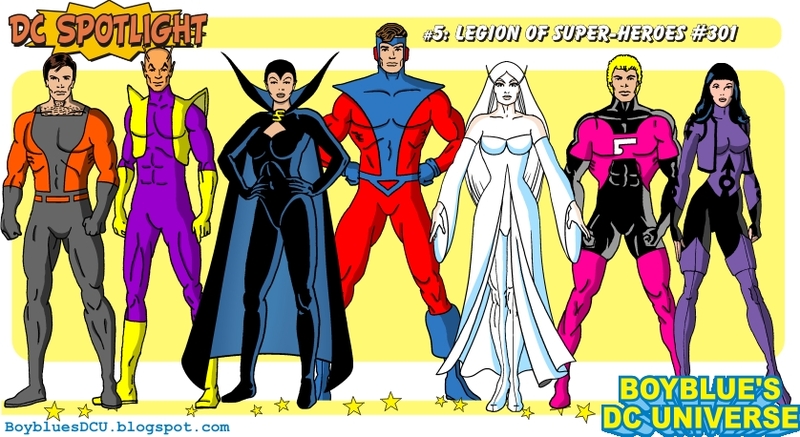 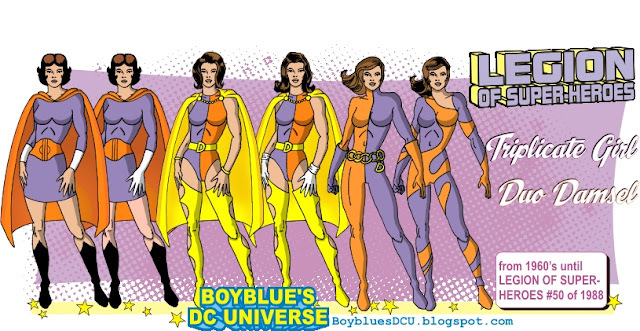 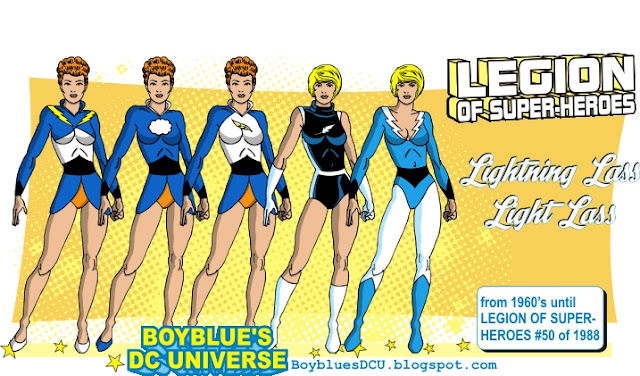 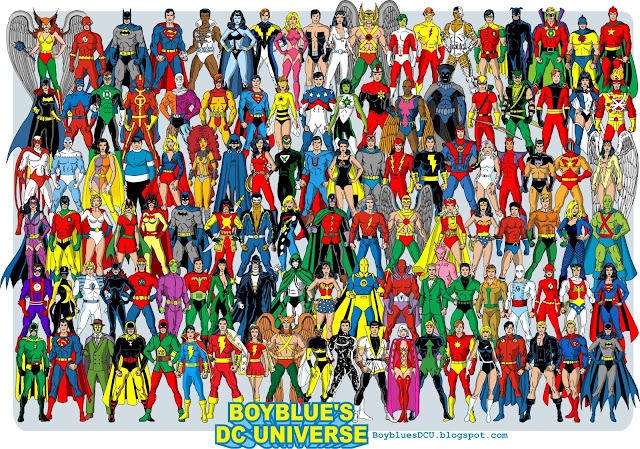 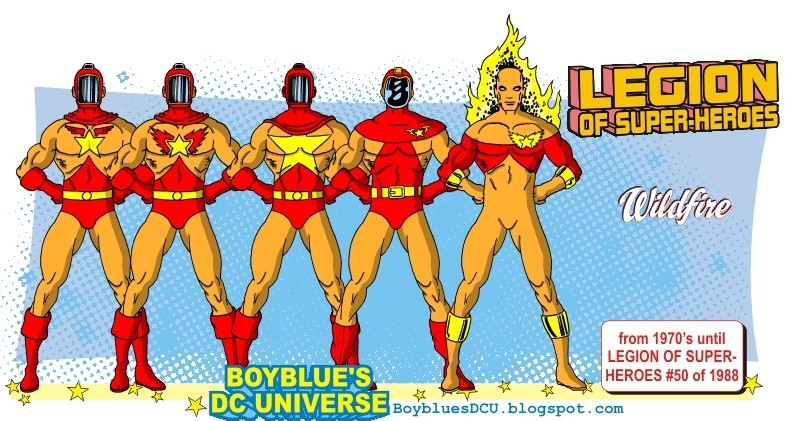 Four versions of the original Legion, two reboot versions and two so called "threeboot" versions. 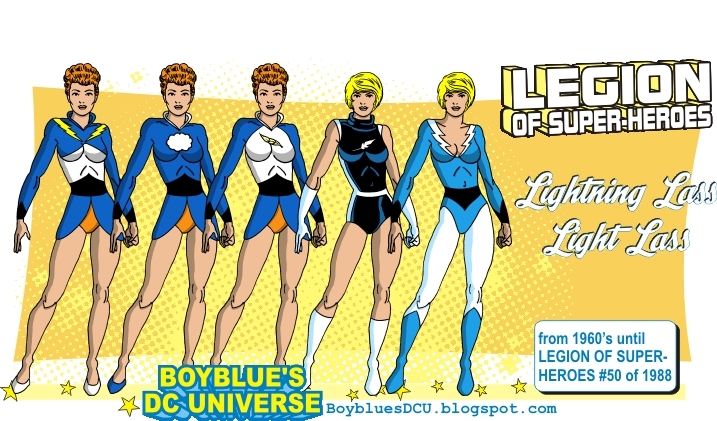 Several White Lanterns from the events Blackest Night and Brightest Day. 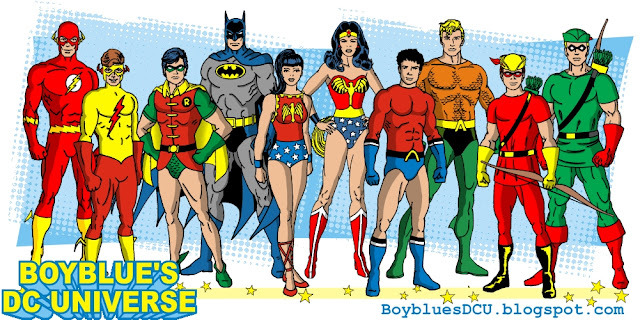 The Teen Titans first appeared in Brave And The Bold 54 in 1964. 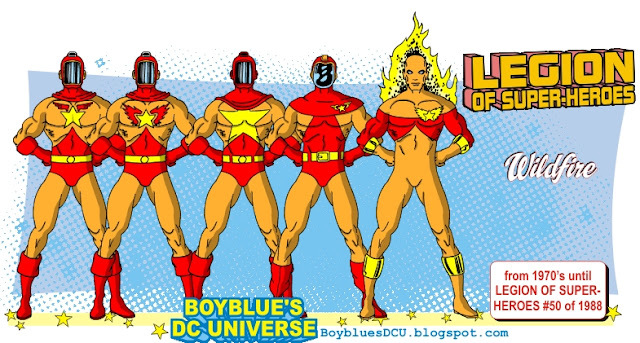 In Teen Titans #19 (1969) Speedy officially joined the team while Aqualad left. 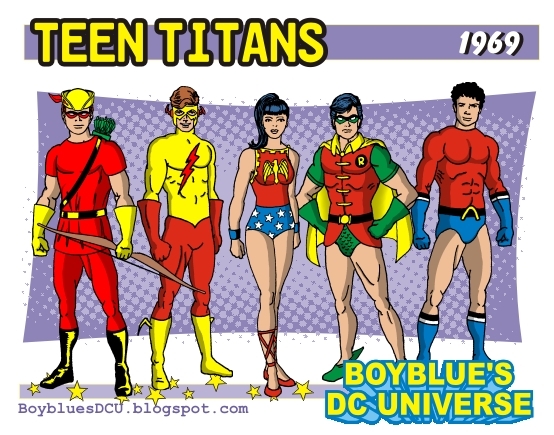 The 1960s Teen Titans with their mentors.